YoYoFactory may be best known for their high quality metal yo-yos and their giant team of champions, but for the last few years they have been working on bringing a high performance low cost plastic model to market. The *star line are all great players for the intermediate to advanced range for a third the price of most metals. The Grind Machine (plastic) brought stability and hubstacks to the $20 range. The Velocity, arguably the best beginners yo-yo on the market, gave players an unprecedented adjustability and range on the fly at a low price tag. 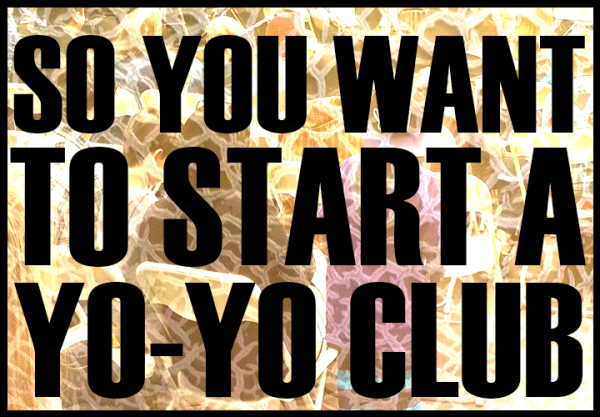 The latest endeavor into low cost plastics from YoYoFactory comes in the form of the One. YoYoFactory has brought this licensed design to the U.S. at a mind blowing sub $10 range. I picked up two models of the One from Fatlace during the “Pray for Japan” Earthquake benefit sale. Over the last week, I got a chance to put them through the review paces. YoYoFactory packages the One in two different arrangements. For the same general retail price, a buyer can get them in a “Play” box that comes with an instructional DVD, or a traditional YoYoFactory box that comes with a spare C sized bearing. The “Pray for Japan” benefit sale YoYoFactory One’s did not come with an additional bearing but considering that these were sold with 100% proceeds going to earthquake relief, I can’t hold that against them. I have plenty of spare C sized bearings so I will consider this the package that comes with a spare bearing. The One is plastic with paper caps covered by a clear plastic cap. The mold marks are underneath the cap area. It felt much more solid than I had expected. When I saw that the weight was 56 grams and the price was sub $10, I expected a cheap hollow plastic feel but the One does not feel like it is cheaply made. One of the biggest advantages to running a plastic line is the availability of bright colors. The orange and red One’s are both very bright and show up very well from a distance. The One also comes in bright green, blue, and shiny black. For a plastic, this is a pretty small yo-yo. It is about the size of an 888. With a diameter of 53mm and a width of only 40mm (41mm ish with a regular bearing) the One is easy to get ahold of in your hand. The rims hit the edges of your thumb pad a little oddly but overall, comfortable to hold. The axle is a hex bolt. While the yo-yo is easy to assemble and disassemble while in thin bearing mode, but with a thick bearing installed the axle seems almost a bit too short. What I found was that if you remove the caps and push on the two nut captures, it is easier to screw the halves in place. The thin bearing comes desheilded and when installed makes the gap really thin. This would clearly be the responsive setting. The thin bearing was a bit hard to get off the bearing post. I used a bearing removal tool that doubles as a string cutter (from YYF) but there is enough clearance to grip the bearing with a pair of needle nose pliers. The shape is a fairly common wing shaped catch zone. The response area has a high wall and a CNC response pad system. The response system could be swapped out for some more common rings or pads from other manufactures but can also take flowable silicone. Even though the One is very very lite at 56 grams, it plays like a full weight throw. It has a very solid and fast feel to it but can be unforgiving at the first sign of a mistake. Since the surface is plastic, if you hit your hand expect the yo-yo to pretty much lose most of it’s spin. This is the type of plastic though that would smooth out pretty well if you roughed it up. Balance wise, the One holds it own, It is not the most stable throw I have ever used but better than some metals I have used in the past. The high wall makes tilt correction an easy maneuver and the 40mm width is nearly all catch zone so landing segments, transfers, and hops is pretty easy. Spin time really depends on what kind of tricks your putting the One through. On smooth tricks that don’t require a lot of rolls or direction changes you can get a good spintime but due to the lite weight, any maneuver that would steal spin is very noticeable here. The One is a great unresponsive throw with a standard C sized bearing. There are times when I felt the need to pull off the plastic caps. The caps can rattle and buzz which can bring a bit of vibe. The problem with this though is that it removes another 1-2 grams from the yo-yo and as lite as the One already is, I felt it needed all the weight it could get. With the thin bearing, the One is wonderfully responsive. 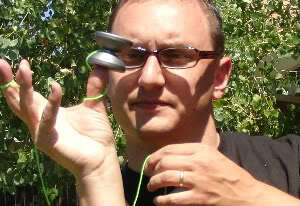 This is a yo-yo I wish I had when I was playing responsive back in the late 90’s. 88 miles an hour and flame tire tracks zipped through my head. I was instantly transported back to when I used to freestyle to “Zoot Suit Riot” by Lee PressOn and the Nails. One or two wraps are possible without snags and I was able to pull of spirit bomb and bucket hops without killing my knuckles. The thin bearing makes this yo-yo the perfect level of responsive without sacrificing playability. There were times during this week where I forgot the One was a $10 entry level throw. When the standard bearing is installed, the One is a very good throw that can take a beating without making you feel your investment drops with every ding. This is the perfect walk around yo-yo that you wouldn’t mind fulfilling “Walk the Dog” requests. 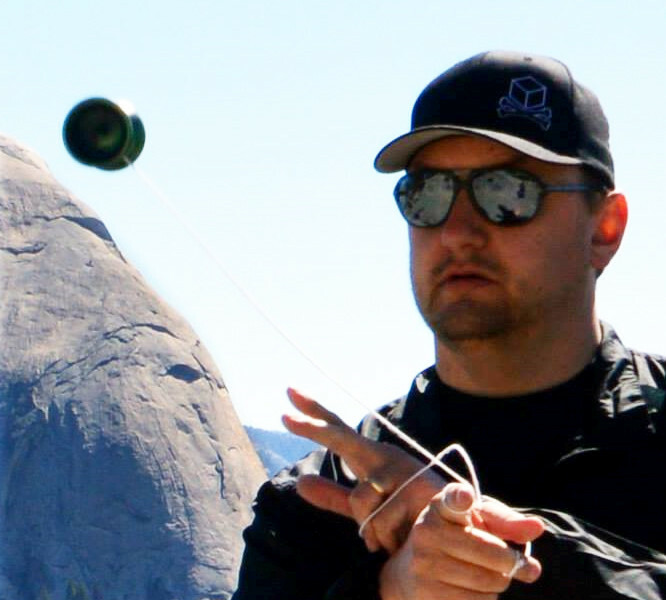 It’s a great yo-yo to give to a beginner to get them started on the right track. I hold out that the Velocity makes a better overall beginner yo-yo, but the One hits that magical sub $10 mark that removes nearly all barriers to entry for a new player. In a way it could be better for a beginner than a Velocity because it removes the gear assemblies that some kids either don’t understand or break due to carelessness. With the One, you have a yo-yo that costs less than what a kid would earn from mowing their neighbors lawn. This yo-yo is make to be played and handled roughly. I think that YoYoFactory made a great choice bringing this low cost plastic to the market and lowering the entry toll for new players. Experienced players may be surprised by the One. I am considering making this the pair of yo-yos I keep in my car. One set responsive, one set unresponsive. It is a fun throw. When set unresponsive it is good enough to survive through tech and flash, and when set responsive, brings you back to old school tug back to the hand play. It has been a while since I used a string trick yo-yo to shoot the moon. Honestly, at $10 bucks, the risk factor is very low. If anything, this is the perfect yo-yo for a modder to pick up and cut into. I would love to see modified One’s cut up and set with weight rings or hubstacks. 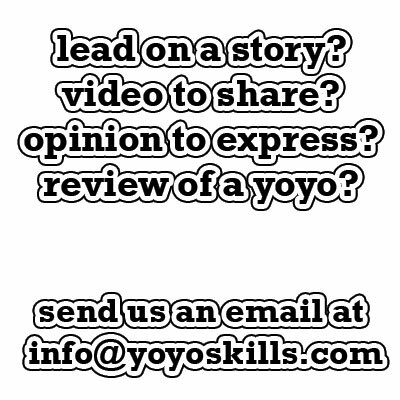 This yo-yo is meant to be messed with and even with the tiny list of problems encountered, is very much worth picking up a few. I think that the One has the best chance of breaking into retail big box stores which is something I would love to see. Available at nearly all the retail outlets listed on the right hand side of this page. Written by Chris “Dr. Yo-Yo” Allen who want to build a time machine out of a yo-yo. You are totally right. This is a great review (unfortunately, i bought without checking this). I think it may well be the cheapest good string trick yoyo that is around. Well, if they do get these in stores, yomega is kind of in deep trouble, because the only money that they make now (to my understanding) is from small children buying their yoyos because they are so cheap. last time i checked a yomega price tag (a year ago when i was starting out), one of their cheapest yoyos was in the $15 range! And it doesn’t even come close to the one! yomega is in trouble! sorry for writing a book… first comment on this site! yay!!! I could totally see this becoming a serious throw with a mod job to add aluminum weight rings; that’d be the best bang for your buck out there! I’m seriously tempted to get one. haha I played that song in middle school, I loved it.